“The Born This Way Foundation, founded by Grammy-award winner Lady Gaga, the South Jersey First Star Collaborative, a college readiness program for foster youth, funded by the Pascale Sykes Foundation, and the Give Something Back Foundation, which provides mentors and scholarships to help Pell Grant eligible students go to college, came together for the installation of the “Our Reason Why” wall. 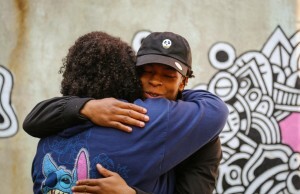 The kindness popup will provide an outlet for young people to express their stories. 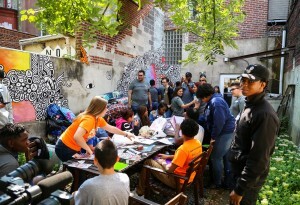 Students from First Star, a college readiness foster youth education program, assembled “kindness packages” at The Monkey and the Elephant, a non-profit coffee shop that employs former Philadelphia foster youth. 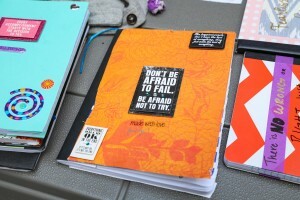 First Star students along with other Give Something Back scholars prepared kits which included hygiene supplies, comforters, pillows, hand-decorated journals, book bags, signed copies of the book Through the Fires, and other Lady Gaga merchandise. The “kindness packages” were personally delivered to current children in foster care from Philadelphia in partnership with Turning Points. 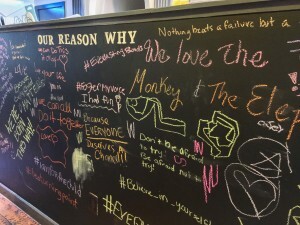 The theme of “Our Reason Why” was developed by one of the First Star foster youth students during her project-based learning activity over the summer. 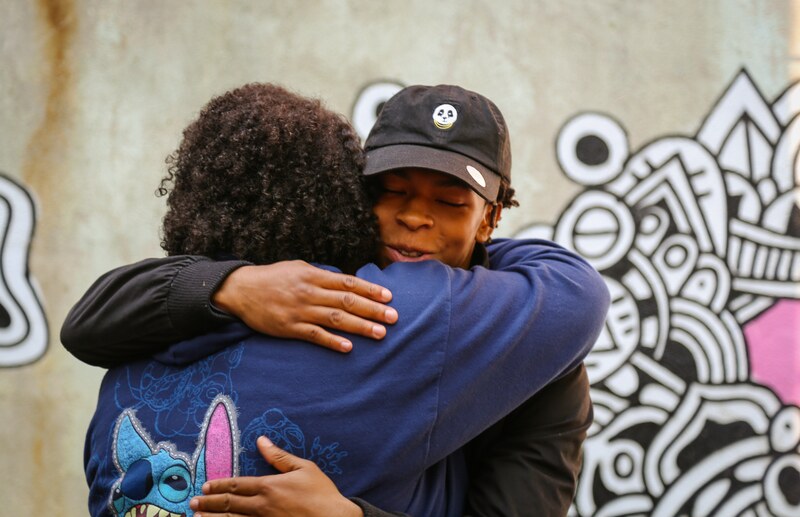 “Our Reason Why” has become much more than a theme for a project, rather an inspiration of hope for our First Star youth coaches, as well as the other foster youth students that participate in our college readiness programs.